Quilted Monogrammed vest for women. UPDATE- ONLY SIZE SMALL IS LEFT in stock! Note they run small- check measurements before ordering. 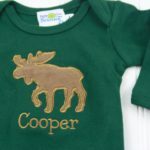 Add a monogram or leave it plain- the options are up to you as you add it to your cart! 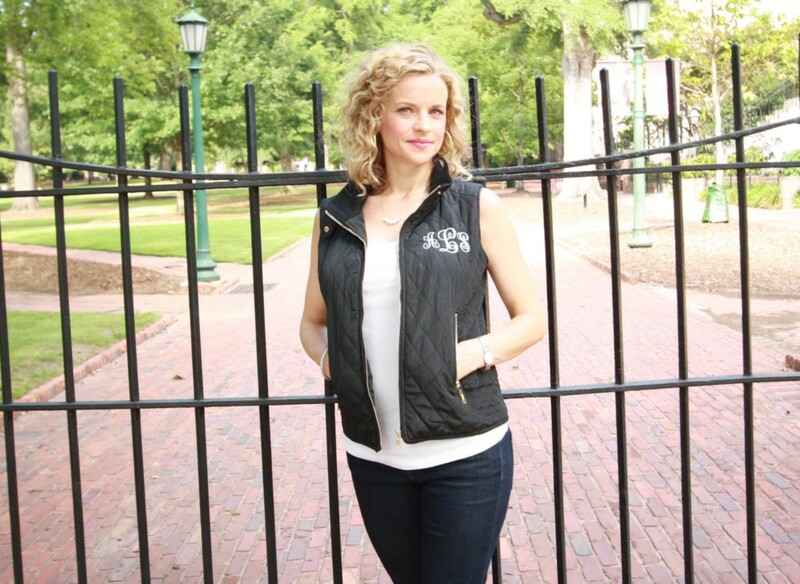 This unique black monogrammed vest will become your favorite new wardrobe staple! It’s light enough for fall and spring, but great to layer in the winter as well. Having it monogrammed on the chest or upper back or lower back makes it a show stopper! Gold zippers and snaps, 2 pockets in front, and a fitted band in the back adorn the vest. It’s soft quilted polyester and fully lined. 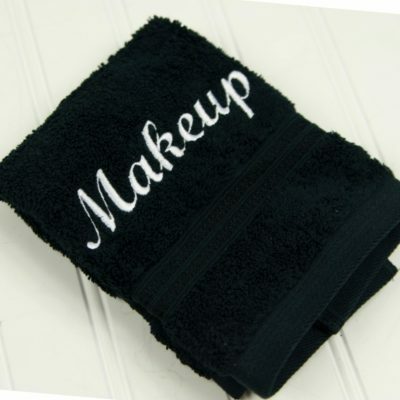 These make a very special and memorable Christmas gift, bridesmaids gift, or birthday gift for women. UPDATE! ONLY SMALL SIZES LEFT. SMALL RUNS VERY SMALL, please check measurements before ordering as monogrammed items can’t be exchanged! 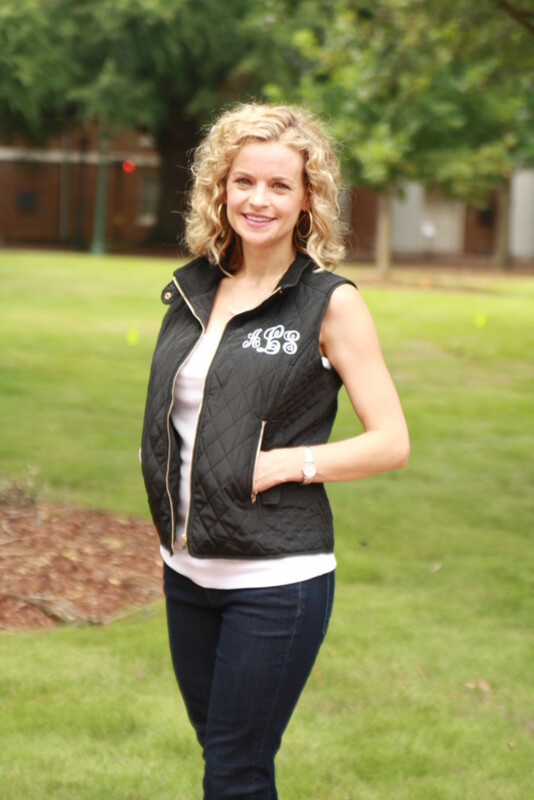 This quilted vest is so much fun monogrammed! It’s your choice of fonts and colors. Choose a font from the last photo, and just tell me what thread color you prefer. The vest shown has it monogrammed with Monogram KK. Please tell me your full name when ordering, so that I can put the initials in order of first name, LAST NAME, middle name! Generally a monogrammed vest goes over a sweater or shirt, so keep that in mind! These run about true to size, or a little small. If you have a long torso, or are on the fence, order the next size up! If no font is specified, I’ll use “monogram”(pictured as the script in the photos).